A certain category of offenses are not prosecuted in the ordinary course of action, but only in the presence of a petition filed by the victim, called a private litigation. By bringing it to court, a private-law criminal case is instituted, and the person who filed it (which is the victim) is called a private complainant. Such crimes are, for example, insult; defamation; slight bodily injury; theft by a spouse or a certain category of relatives. When is a private complaint filed? How is the complaint filed? The complaint must be written, with details of the sender and the person to whom it is filed. In it, you have to show the nature of the crime, the way in which you were harmed, the time and place of committing the crime and sign it. The private litigation is filed with the relevant District Court at the place where the offense was committed, together with a copy of the offense and the written evidence of the defendant, and a state fee of 12 leva. The complaint should be filed with the Registry, where an incoming number will be placed on your specimen. You also have the right to ask for assistance from the Ministry of Interior authorities to collect information that you can not obtain yourself. Failure to hear the case without valid reasons leads to its termination. The private appeal ends with the verdict. 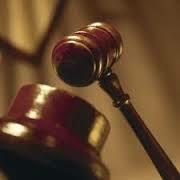 In many cases, however, the injured party may reach an agreement with the defendant before the case is over. The private complainant may withdraw the complaint at any time. Together with the private litigation and in the criminal proceedings, a civil claim may be brought. However, no separate civil action may be brought simultaneously, because the crime must first be proven before damages are awarded for the damages suffered. WHAT IS THE GAME? WHAT IS THE GAME?